30 hours behind the wheel. There are plenty of local driving jobs for new Class A CDL Drivers. Check our trucker's job board. We can't promise to find you a local driving job. But, we can point you in the right direction. This course will give you the license and skills needed to find one. Complete this course in 15-2 hour training blocks. You are not required to attend school every day. You schedule your own training blocks. 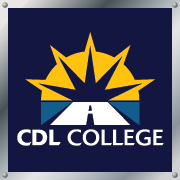 The Class A CDL course is 30 hours of behind-the-wheel training tracked by a computer. We'll cover safe driving theory, Pre-Trip inspections, backing maneuvers, and double-clutching a 10-speed tractor with a 53 foot trailer. This course is heavily discounted from the Block Training System. Don't have it all once? Check out the Block Training System and pay-as-you-go. There are many options. We're not going to force you into this one. *You'll receive: 8 Yard Training Blocks, 7 Road Training Blocks and 1 CDL Skills Test in our truck (retest if needed).